This article is 446 days old. After much construction and 20 weeks of rehearsals, Post Productions is ready for some drama. Moving into the Shadowbox Theatre, the group is set to make an impact. Having planned a performance of Irish playwright John Patrick’s Shanley’s Doubt before finding the facility, the play will now open the venue (located at 103B – 1501 Howard Avenue) on Friday, February 2nd. On a production bucket list for Michael Potter, the change created some challenges. 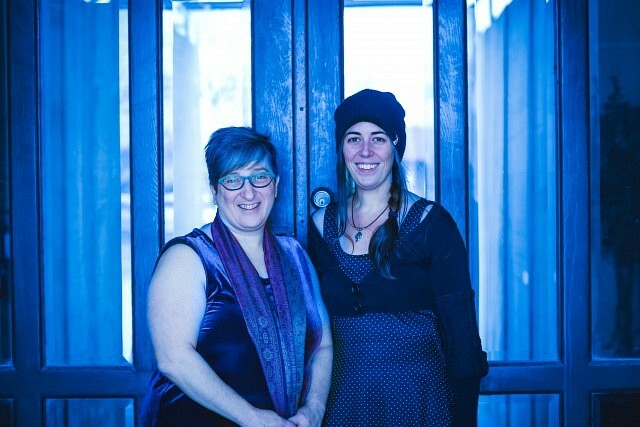 JoiningPost Productions artistic director Michael O’Reilly and creative director/Doubt producer Fay Lynn, Tova Perlmutter expressed interest in directing the show: From there, it didn’t take long to decide it would be a strong way to start 2018. Set in 1964, Sister Aloysius suspects Father Flynn of molesting their Parish school’s first black student. The situation gets brought into the open, putting the boy’s mother and teacher Sister James in the middle. With many layers, the Pulitzer and Toni award winner will give people lots to digest. Auditions were held on August 30th and rehearsals began in September. 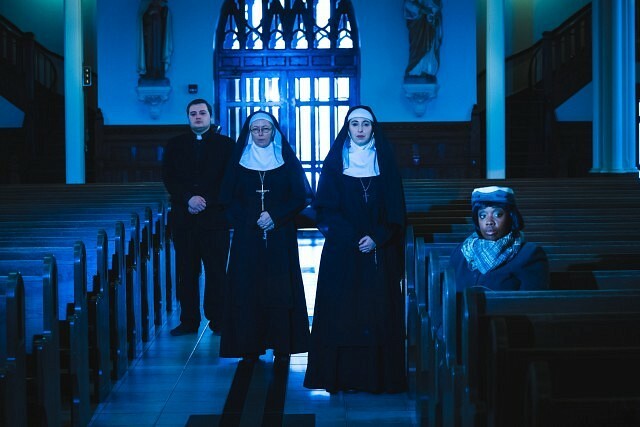 Starring Niki Richardson as Sister Aloysius, Eric Branget as Father Flynn, Carla Gyemi as Sister James, and Jennifer Cole as Mrs. Muller, the play is made up of three Windsorites and one actress from Detroit. With theatre construction ongoing, rehearsals have taken place at The Roast House since mid-September. Gennaro’s owner Enzo uses the facility to roast coffee beans and has lent the space to the group since May 2017. Despite not rehearsing at Shadowbox, the cast has been on point from the start. Although it may sound simple, a lot of work went into the idea. The managing director has also been working on other elements of the show. After getting a Wishlist from Perlmutter, he’s been basing the light design off her specifications. Only having a month for construction however, no permanent lights have been installed in the Shadowbox Theatre. This has led the managing director to work with rented lights, a challenge he’s enjoyed. Of course, sound is also important. Thankfully, Potter has had some help with that. As if that wasn’t enough, a production set in the 60’s also needs a specific wardrobe. Because of this,, Esther Van Eek from the University of Windsor’s School of Dramatic Arts will partner with the group for the first time. Ensuring everyone expresses themselves in period-appropriate clothing, her attention to detail is crucial to an immersive experience. In addition to clothing though, this setting also presented another challenge. Putting so much work into the performance, those involved want everyone to be entertained. In addition to showing off their new theatre, Post Productions hopes people keep an open mind. Although some may jump to conclusions, the producer explains it’s not that simple. Performances will take place on February 2nd, 3rd, 8th, 9th, 10th, 15th, 16th, and 17th at 8pm with doors opening at 7:30. While tickets will be available for $20 at the door, those interested are encouraged to buy them online to avoid being turned away by potential sellouts. For more information on Post Productions’ upcoming plays and season passes, people can visit their website or facebook page.